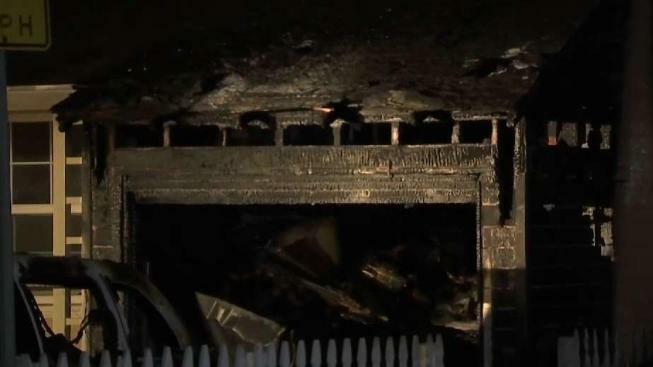 A fire broke out a house in South San Francisco house early Tuesday, leaving eight people displaced, according to a fire official. Firefighters responded around 12:45 a.m. to the home along the 300 block of Fairway Drive, according to a battalion chief. The house suffered extensive damage, the battalion chief said. Five adults and three children displaced by the blaze are being assisted by the Red Cross, according to the battalion chief. Power lines behind the house caused problems for crews trying to douse the flames, the battalion chief said.